Her beauty is captivating, her intelligence is remarkable, a true beauty queen, she is Vanessa Ponce De Leon, Miss World Mexico 2018! The 26-year-old Mexican beauty is out to conquer the world and there is no stopping her. Vanessa is the beauty with brains and a complete Miss World material. She is one of the strongest delegates this year, which is why she is Angelopedia’s Top 20 favourite contestants for the crown of Miss World this year. Standing tall at a height of 174 cm, Vanessa has a Degree in International Business and is currently on the Board of Directors of a Rehab centre for girls and also volunteers for 'Migrantes en el Camino'. Volunteering and modelling is her profession. Two distinct careers that truly defines her strongest personalities. Vanessa is also an excellent speaker and she speaks for the National Youth Institute. During her free time, she indulges in a plethora of activities. Vanessa is a licensed scuba diver, and she likes to play volleyball and paint from time to time. Added to that she is a sucker for ultimate Frisbee. Vanessa likes to binge on the show ‘Downtown Abbey’. Vanessa’s personal motto is ‘We all need each other’, which speaks in length about her personality. Her volunteering work, her advocacy to speak for those who are in need to help, inspires her to be the best version of herself in every second of her life. Vanessa is also bilingual, as she is fluent in both English and Spanish languages. 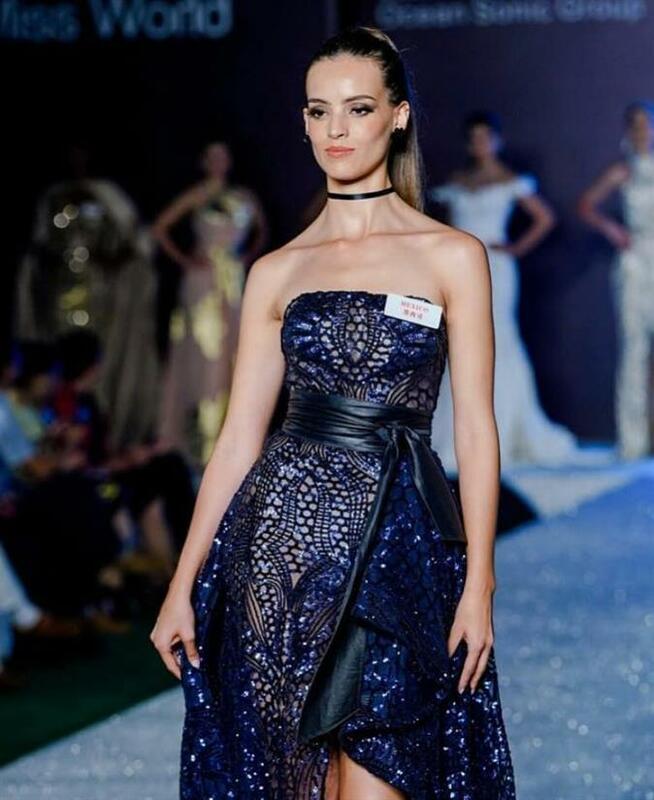 At the conclusion of Miss World Mexico 2018, Vanessa bested 31 other delegates to become the national champion. She was crowned by Miss World Mexico 2017 Andrea Mesa. The grand finale of the national pageant was held on 5th May 2018 at Salón Imperial de Villa Toscana, Sonora. Vanessa won the Beauty With a Purpose title as well as Challenge History of Mexico special award. Vanessa has already created a strong foothold in the competition and it will be no surprise if she manages to take the crown home for her nation. Her dedication to helping people and her passion to prove herself knows no bounds and that defines a Miss World. Mexico is yet to bring the title home and Angelopedia is hopeful that Vanessa will change the course of history and win the title of Miss World 2018. All the very best to this Mexican beauty with her delegacy this year.